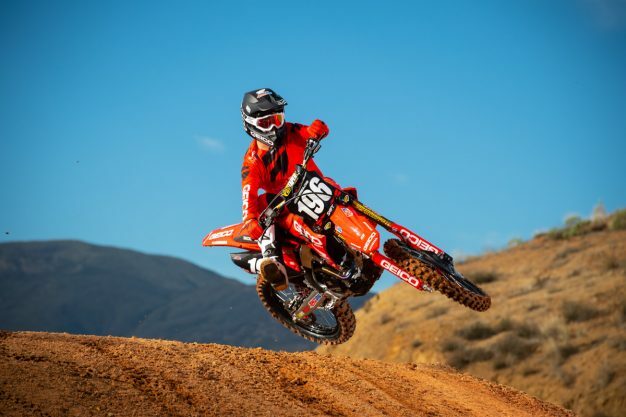 Youthful Australian set for AMA Supercross debut this weekend. Supercross. It’s recognised as the pinnacle of our sport in America, a place where riders globally dream of being behind the start-gates. 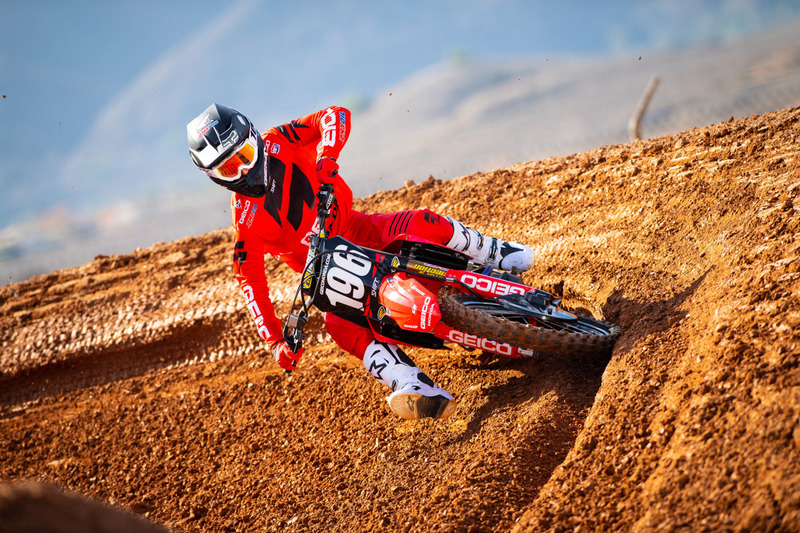 For Hunter Lawrence, he becomes the latest Australian in a long line to land a top-level seat in Monster Energy AMA Supercross after signing with the prestigious Geico Honda team. That feat is made even more significant since Lawrence – still just 19 years of age – already has three full years of international experience to his credit after his whole family moved to Europe in 2016. 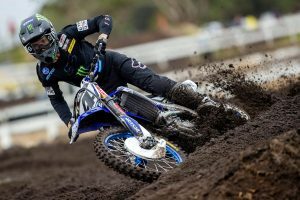 A GP race winner and multiple podium finisher who’s recognised as one of the sport’s top emerging talents, the Queenslander is ready to take on the United States. 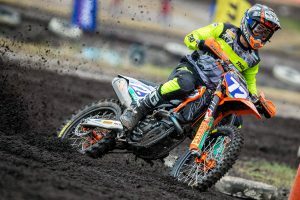 Untimely injuries and additional difficulties made 2018 a tough one for Lawrence, ending ninth in the MX2 standings for a second-straight season, however his capabilities remain undeniable. For him, still with his family by his side including high-profile younger brother Jett, the time is right to make a move and broaden his horizons. “Being honest, I didn’t rate last year very much,” Lawrence reflects while speaking from his Californian home. “It was just a frustrating year, a lot of things happening out of our control and my results weren’t a reflection of me not working hard enough or anything like that. It wasn’t what we wanted – we wanted to win. Perhaps the highlight of Lawrence’s 2018 season was leading Team Australia to fourth at RedBud’s Motocross of Nation, which coincidently marked his first race with the Factory Connection organisation that he will ride for over the next three years through 2021. Alongside countrymen Kirk Gibbs and longtime junior opponent Mitch Evans, Lawrence charged to P2 in class. “In the press conference on Friday I told the boys if we could get a top five considering the guys we were up against, we’d all be really stoked and that’d be a frickin’ good effort,” he explains. “It’s gnarly to be thrown in the deep-end from Australia, but for me it was alright because I see a lot of those guys like [Jeffrey] Herlings and [Antonio] Cairoli all year. “People like them and [Eli] Tomac, when you see them for the first time it’s a little bit cool. When they’re behind you and with a sold out MXoN with all of those guys racing, dude, your heart rate is an extra 20 or maybe 30 beats higher [laughs]. You can’t replicate that. It was during that same period at the beginning of October that the Lawrences moved from their previous base in Belgium to relocate as a family once again, now situated in California. After experiencing the challenges of life in Europe first-hand, the move to America has been a relatively smooth transition in lifestyle. “Europe makes you tough, for sure,” Hunter admits. “A lot of things went on that not everyone knows. Even having to live there, forget about working hard and training to be a competitive racer, what we had to go through as a family just to live there was already a mission in itself [laughs]. “That was how it was going to be though and we went there with the mindset of ‘this is how it’s going to be’. Even if we wanted to come back home we couldn’t have, because we sold our house and we don’t have any ties to Australia anymore except for family being there. It was just a matter of making it work and I think that helped us out. 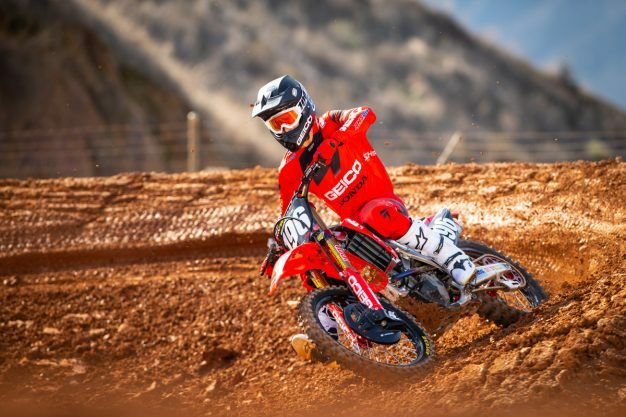 You couldn’t blame Hunter for having to pinch himself at this stage of his career, finally arriving on the spectacular American circuit with Geico Honda. With an incredible amount of resources at his disposal and having the most competitive CRF250R on the planet beneath him, the opportunity that has been earned doesn’t go unnoticed. “I’m grateful for this opportunity, really thankful, but I also worked my arse off to get it and I deserve it. I’ve got an amazing team, all of the guys are awesome and it’s everything you could imagine when you think of a factory team. This is what Geico Honda is, just so sick and even things like the gym at the workshop, they have all the tools that you need to be successful. I just can’t wait to get the season underway, honestly! It’s no secret that supercross can be brutal, especially through the adaptation phase as a former grand prix rider. But as he has done many times in the past, Lawrence is taking things step-by-step and learning all that he can in a short amount of space. This weekend, he’ll make his debut in the 250SX East series at Minneapolis in Minnesota. “Supercross has been good and I’m enjoying it,” said Lawrence. “When I started, the guys gave me some base settings and just said to ‘go ride and get comfortable’. The bike was great to start with and that helped the transition, but I’ve just been taking my time. Expectations are always set high for professional racers – largely placing the most pressure upon themselves – however Lawrence declares he’s carrying an open mind into 2019. 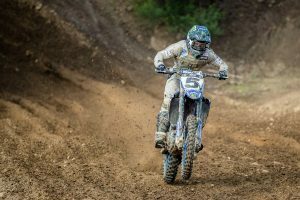 Still, that dream of delivering a championship prior to turning his attention to Pro Motocross later in the year isn’t completely out of the question.